‘wish you were gay’ debuted overnight as a WORLD RECORD on Zane Lowe’s Beats 1 show on Apple Music. ‘A Snippet Into Billie’s Mind – wish you were gay’ was also revealed overnight and is the second of three episodes in a short-form mini-series available exclusively on YouTube. Each episode will bring new insight into a song from her debut album, helping fans understand her process and shine new light on her music. 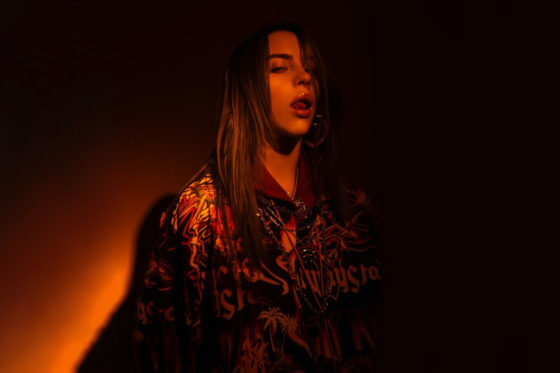 Billie Eilish is currently on her SOLD OUT tour across Europe before returning to her native California for two very special performances at Coachella Festival in April. She will then make her way to Australia to headline the Groovin the Moo festival and play a series of SOLD OUT headline dates in Sydney, Melbourne, Brisbane and Fremantle.